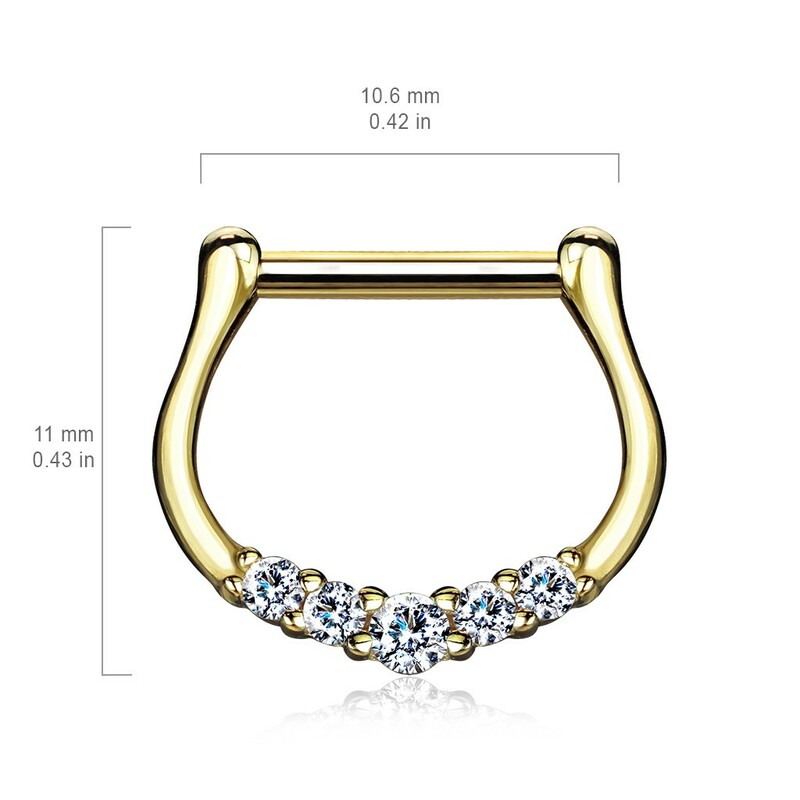 A septum clicker will make sure you no longer have to hassle to get in its place, its click system makes it easier than ever. 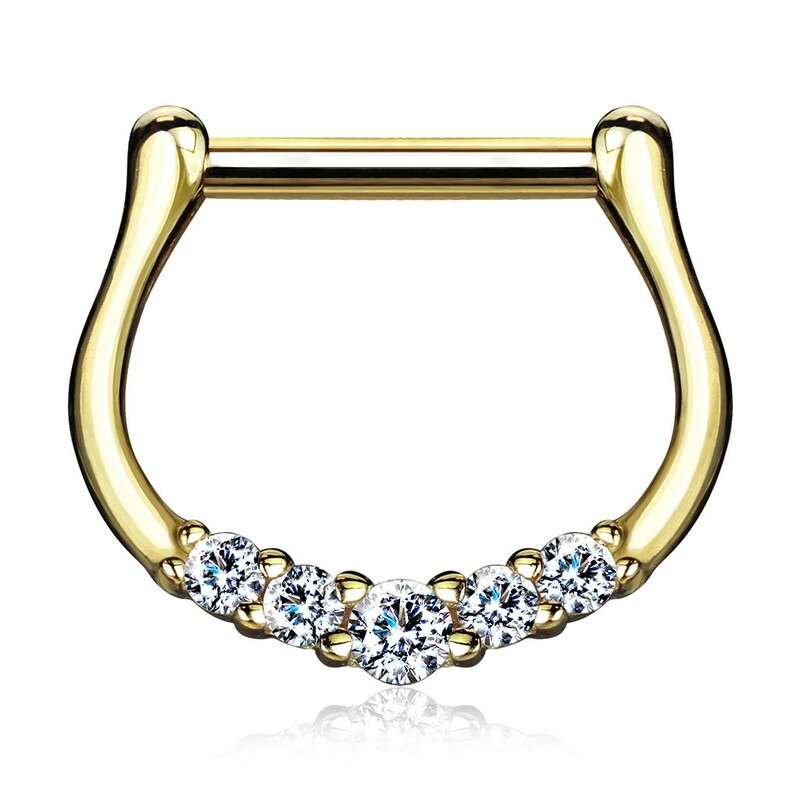 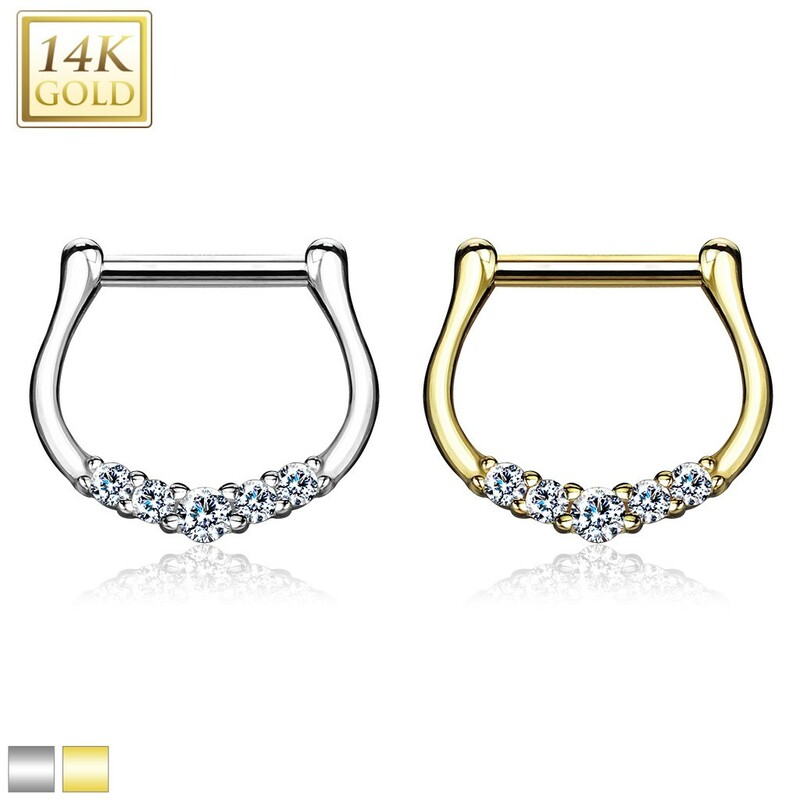 This solid gold septum piercing also wont wear and will always keep its gold shine. This septum piercing is subtle decorated with five clear crystals that will emit a soft glimmer every now and then.